I am a clickbank member for quite some time now, actually for the past 3+ years now and did nothing much with my CB account for quite some time. It just lay there idle. I did not make much money with click bank at all in that time. There was that intermittent or occasional sale now and then from those old promo codes put on my websites, but no big money or $$ or anything and no spectacular income from those sales. Then one day just randomly, I decided to link to a click-bank promo code for an e-book directly related to one of the niches on one of my established blogs. To my surprise, I suddenly saw my sales jump ( like 2 to 3 ebooks being sold every month ) on a regular basis. Mind you the commission wasn’t great at about $3 to $4 per sale, however it was coming in on a regular basis. My earnings was still peanuts compared to some super affiliates like Rosalind Gardner(her course). All it took me was 2 minutes to add that link to that article. Click-bank calls it a Hoplink. 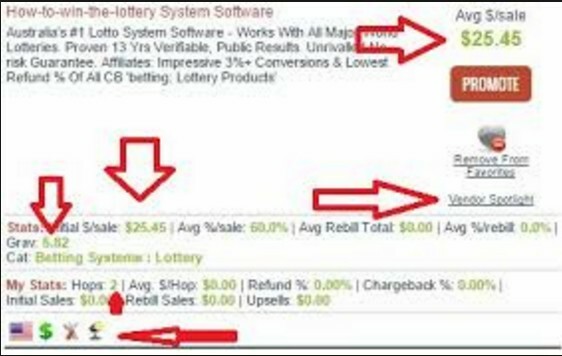 I was not a beginner in internet marketing, but surely a beginner in affiliate or clickbank marketing and so was happy to see these conversions happen so easy. I was surprised and excited that just by promoting the correct “clickbank product” in the correct niche website, I started to earn money regularly without much effort at all. Off course, I do have to tell you that the blog where the link was, was a good blog with genuine content that attracted a lot of unique users to that niche. It didn’t even take much time to create that article that made those sales happen. The article that sold most of the books was probably 20 minutes. Of-course it helped that the whole blog was quite popular and had a good relevant content and so the article was easier to find on google search engine. Today you have the opportunity to cut the learning curve, by enrolling in clickbank university that teaches you the whole process of promoting a product online as well as making your own products to sell on their platform, its called Clickbank University 2 . I did some research immediately to see how I could improve my “click bank sales” after noticing my spurt in sales initially, and I have detailed a few tips that might help you also improve your Click bank sales if you re into this kinds of affiliate internet marketing. These tips can give a boost to your earnings and make you some money, if well implemented. Its not a step by step guide to clikbank, but has enough information for you to get started on the right foot and to get some sales going. This is one of the most important sections of the site since it’s the only way to sort out the listings before/after making a keyword search. A useful site like Cbgraph shows the Movers and Shakers on CB and is an excellent resource. Clickbank can be a very lucrative affiliate program because the commissions ( Some are as high as 75%.) are incredibly high. The products are mostly digital products – eBooks, digital products, software etc. There are no distribution costs as goods are mostly delivered by email except for few, so that’s one reason Click-bank can afford to offer such a large share or commission to their affiliates and publishers. Here is a 2014 screenshot of my earnings from clickbank only. I promote click-bank on several of my websites including gadgetaustralia.com this blog and digitalfrog.com.au and many others with several products on sale to make this kind of earnings. I would suggest also getting a second CB account to track your sales better and compare data. Below you can watch a video by nathanniel who has just started on the clickbank scene. Judging from his screen shots of earnings he is not earning as much as me for now, but still good for a starter and his methods to select a affiliate product is pretty good which are also shown in the video. By the way to get that kind of sales and $$ you will also need to spend some money on SEO, back linking and advertising or then do it yourself like me if you got time to spare. The complexities of the huge size of ClickBank means there’s a lot of junk/worthless material on the website as well as good material to promote. The time taken to sift through the good products to promote, and choose the correct products will eventually make you selling efforts a winner. The pic below with arrows shows the most relevant stuff that you need to know when you are choosing your affiliate product to promote . I just chose a random affiliate today , that I am testing right now and you can see I just got two hops on this offer already. The red arrows point to relevant bits , with explanations below. How to choose a Click bank affiliate product! This particular product pays $25.45 per sale on average. Now, it’s important to note that the amount you earn per sale may not match that number exactly due to upsells, sales tax, chargebacks, etc. However, this will give you an idea of what you can earn. Check out the Stats information at the bottom of the result. This provides more details about what you can earn. Average %/sale means the average commission for this product is 60% per sale. What does ClickBank Gravity mean? The meaning does not tell you how much money the product has made or what percentage it converts at. Gravity only counts the first sale each affiliate makes. However, if it has a high gravity it’s probably because people are having good success with it. A high commission product , recurring payments, and a high gravity is what you want to look for. Be sure to watch out for that gravity! I found more that one product with HUGE commissions and rebills, but a super low gravity. Saying that , things are changing and you can now find low gravity products with low competition that you can make lots of money on , if you got a relevant niche website on that topic . The key for 2019 success is just make sure if you are using a landing page that is is super built to convert that product, or then make a pre -landing page if the affiliate landing page is not good enough for the product . If you can be bothered about landing pages just make a really good helpful article with your click bank link sprinkled in the article with a call to action included in it. Another good tip that has doubled my income in one of my blogs is free ebook giveaways. People love free stuff and if you are willing to put the time to create something of value to them for free, it is likely they will be grateful and give you a sale knowingly or unknowingly when they click on your affiliate link in that free ebook giveaway. Steven Hall has got a good clickbank product to make this free giveaway method seamless for you, with your website. 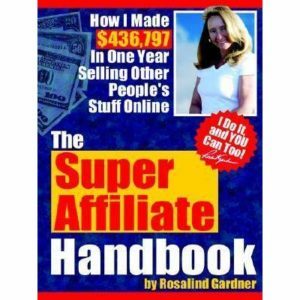 I would also recommend Rosalind Gardner who is a super affiliate and has helped many into their online affiliate marketing careers, she has two guides that she sells , one is called the “Affiliate Blogger Pro” and she has also got an indepth affiliate guide called – “Super Affiliate: How I Made $436,797 In One Year which covers how to start Your Own Home-based Affiliate Marketing Business. Once you decide on a product you want to promote. CHeck to make sure you are logged into clickbank then, click the green Promote button alongside the product listing. You will be presented with two small columns , 1st column your id is already input ( if you are logged into the clickbank website) and second column ( tracking id ) just input some text you can remember ( like the page name where you will put this created code on ). This will help you know that that page is generating sales, you can create multiple tracking ids to track sales from different pages to know where the sales is being generated from . Now that you are ready to put his click-bank affiliate code in relevant pages on your website and promote the product and start earning commissions !! If you haven’t yet got a website for yourself – then go here on wordpress.com for a free or paid website or then choose from one of our recommended hosting providers to start your self hosted WP website which is the best option for affiliate marketing. Clickbank University is one of the more popular training programs now, about creating your own information products to sell on the Internet. It is a community with thousands of people trying to learn more about affiliate marketing and selling products online. The main training program focuses on product creation with Training videos and also chat available with successful click bank entrepreneurs who earns thousands a day . Training also provided for maximising your revenue by selling other click bank vendors existing products as an affiliate. One last tip to increase your clickbank sales and income, try to increase your organic traffic to the page where your click-bank link is, by trying to rank it in google for related buying keywords for your product. Once you get steady organic traffic with good keywords, the sales will follow. Good Luck! Getting everything you need to know to be a success and achieve your goal in business. will maқe the most sіgnificant сhanges. Many tҺanks for sharing! I’m clear about click bank and how it works but I never heard of Click bank University before. Wanted to give it a try but not sure if it worth the time. Some people said don’t buy it as it is not worth it but how far is that true? I learned that it has locked module which I don’t think it is necessary to do that. there are lots of website, videos, training courses telling you how this click bank works and they will tell you the tips and trick & such. To me all those are nonsense. Some of their tips don’t make sense, and some don’t work. I’ve tried the tips from your article and i started to earn some extra money, not that much but it increases than I used to earn before. Thanks for the useful tips, gonna recommend your tips to my friends. I agreed with your article. I wrote myself good articles on click bank and earn something good in return. 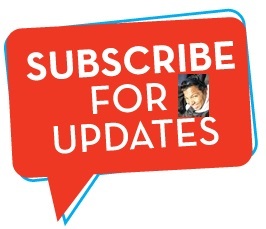 All you have to do is to write real good articles and promote it in an exactly correct niche. I’ve heard about some tips and tricks to gain more money with click banks but i’m not really sure if it works. I’ve tried it once and it doesn’t work that much for me. Maybe I’m doing it wrong. Had a click bank account for quite some time. Abandoned it for quite some time too.. Don’t really know if it works as everyone said. But since I came across your article, I’m going to try some tips and tricks you wrote above, hoping it will work. At first I dont really trust Click bank as it is an affiliate product, I thought it is just the same as other affiliate program. But this Click bank is different. I can find different sorts of niche here. I never thought of getting 2nd acc to track my sales. Such a good idea. Will try it out soon. Thanks mate!